Luxury holiday villas in Les Adrets. Spacious modern villa with private pool near Les Adrets, Côte d'Azur. 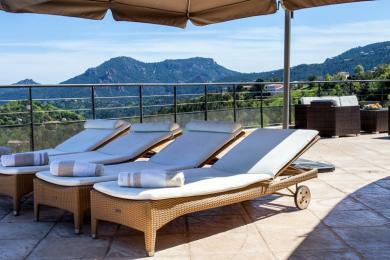 With panoramic views towards the Bay of Cannes and the L'Esterel Mountains. Fully air conditioned. Sleeps up to 8 guests.